If you're a 3D enthusiast, then you'll probably enjoy the latest addition to the Google Earth Gallery: 3D Buildings. This new category provides a number of self-running tours on various themes. The tours showcase some fascinating 3D buildings (along with bridges and statues and other structures) around the world, most of which were built by our passionate Google SketchUp users who model buildings for Google Earth. Whether your interest is castles, bridges, museums, baseball stadiums or skyscrapers, I think you'll find a self-guided tour that is of interest to you. The tours were developed by geo-modelers Adam and Jordan, both of whom are 3D experts who really know their way around Google Earth. 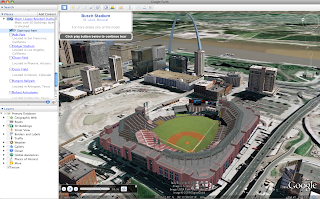 To play a tour, simply click on the "Open in Google Earth" link to download the KML file. Then click the "Start tour here" link in the "Places" panel in Google Earth (download the latest version of Google Earth). Make sure the "3D Buildings" layer is checked in the "Layers" panel. 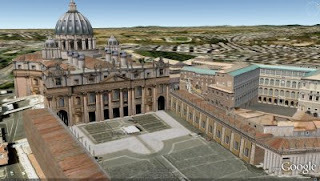 The tour will pause at each location to ensure the 3D building is fully loaded. Click the play button to continue the tour. Enjoy!